Due to the increased possibilities for identity theft and different kinds of frauds connected with credit cards, a decade ago Visa and MasterCard proposed a mechanism for increased data security for the credit card providers, merchants, banks and other financial institutions. The proposal led to developing quality PCI compliance security standards. These standards were developed for bigger security of the personal data when making payments, both in stores and online. During 2006 Payments Card Industry (PCI) standards were even more improved, and the finalized document provided detailed and better Data Security Standards (DSS) for trade merchants. Simply said, PCI compliance is important because it gives better type of security when making online purchases with credit cards. Having a program for prevention from different vulnerabilities. Businesses that follow these PCI compliance standards must perform regular onsite reviews and periodical scans done by qualified companies for data security. PCI compliance standards are very precise, accurate, and simple to follow. 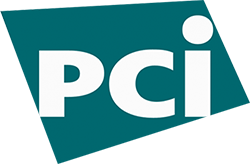 The primary goal behind the creation of PCI standards was to ensure bigger security when processing credit card payments, but today they are a standard for quality in the whole credit card industry. Those that do not comply under these standards when processing credit card transactions can be punished by paying big penalty fines by the banks and other financial institutions. On certain occasions, credit card providers and banks can completely stop giving their services to the merchants that do not comply under these standards. Today, following these security standards are a norm in the credit card industry. They are a symbol of practicing good business and they are used to build up the client’s trust in the company. PCI compliance also reduces numerous risks connected with money transactions. Clients can always feel very comfortable when making a transaction with a business that complies under PCI standards, even when giving away their personal data. 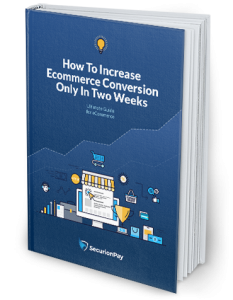 Security is a big issue for any business that provides their services both online and in stores. PCI compliance shows that the company is serious when it comes to security and protection of their customers’ data. Simply said, PCI compliance can bring in more clients, as their trust will rise if they know that the company has taken every measure necessary for protection of their personal information. Not just with clients, but PCI compliance can also increase the company’s reputation with credit card providers, banks and other financial institutions. In conclusion, PCI compliance is very important for online businesses if they want to gain the trust of their customers, to improve their relations with banks, and to avoid possible penalties for failing to follow these quality norms and standards.